One of the most unpleasant realities of owning a car is corrosion. Besides the fact that rust can cause some serious damage to your car, it obviously is an eyesore. 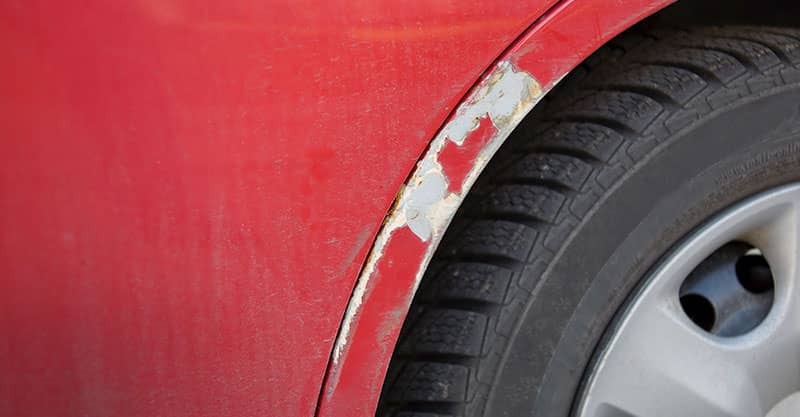 As a car owner, it is important to understand how rust forms on your car, which parts of the vehicle are more susceptible to corrosion, and the type of climate where corrosion is more likely to thrive. On the body of a vehicle, rust can occur as a tiny nick in the paint, a raised paint bubble, or a small blemish. If the process of corrosion goes unnoticed, it can result in massive degradation. However, if it’s detected early, the process can be stopped. The first step in rust prevention is to understand how it’s formed and which parts of your car are most likely to corrode. The most common — and most effective — method of preventing corrosion on the metal exposed portion of your vehicle is through the use of rust inhibitors. A rust inhibitor is an additive to the moisture that surrounds the iron. Electronic rust inhibitor. This is the latest entrant into rust proofing technology. Electronic module rust proofing entails the installation of a small device in your car that transmits a weak electric signal in the metal portion of the car thus preventing it from rusting. The device is known as an electronic module. Drip oil spray. Experts highly recommend drip oil spray method of rust proofing. To apply drip oil spray, you’ll have to drill a few holes on the parts you want to rust-proof to make sure they are well oiled. The car may continue to drip the oil for one or two days after application. Expect a few stains on your driveway. Dripless oil spray. Dripless oil spray is a thick, wax-like substance applied to the exposed metal portion of a car to prevent corrosion. The oil spray hardens after application, and there is no dripping afterward, hence the name dripless. It has a high viscosity and does not reach some areas of the car that need rust proofing. Tar-based sprays/sealant. This method of rust proofing is also known as undercoating. 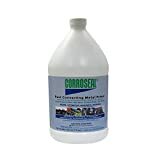 Tar-based spray method involves the application of the tar-like substance on the exposed parts of the vehicle such as the underbody, wheel wells, floor pans, etc. Tar-based spray hardens upon spraying creating a permanent shield against rust causing elements such as salt and moisture. Rust can be found on virtually any exposed metal portion of the car. However, some areas are more prone to corrosion than others. When inspecting your vehicle for rust, pay close attention to the exhaust system, trunk, engine, chassis, frame, fenders, and the wheel. Be sure to inspect the entire car, though. Environmental regulation. We all have a duty to protect the environment and leave a better planet for our children. This is why you’ll find a lot of local environmental regulations on paintings and coatings. Inquire about environmental regulations in your region before you purchase a rust proofing spray. Price. Whatever options you choose to go with has to make a financial sense. How much will it cost you? How long will it last? Is there need to re-spray the vehicle after the first application? Understand your options. Check online reviews. Nowadays, one of the best methods of knowing what products work best and which ones don’t is by way of reading online reviews. Check feedbacks from people who have used the product before. Or, check out our list of recommended products up above! The exposed metal portion of our vehicles is likely to get corroded due to exposure to moisture and salt. 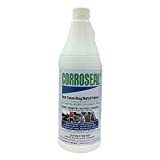 Protect your vehicle from corrosion with a rust inhibitor. The best rust inhibitor should not only safeguard your vehicle from corrosion degradation, but should also be environmentally friendly. 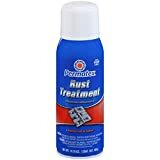 Corrosion is a very harmful disaster in the world of metals and machine.There many rust inhibitors in the market and its very confusing which one to buy.But this list of rust inhibitors have made it easier to choose from the given list.Thanks for sharing this article. Amazing article on corrosion and inhibitors. I am glad that I came across your article.Very well written post in a detailed manner. Nowadays there are many technologies in market by which we can stop corrosion.Inhibitors helps to stop further corrosion to take place and forms a layer.Keep sharing such post.